Chemical-Free, All Natural and Pure. 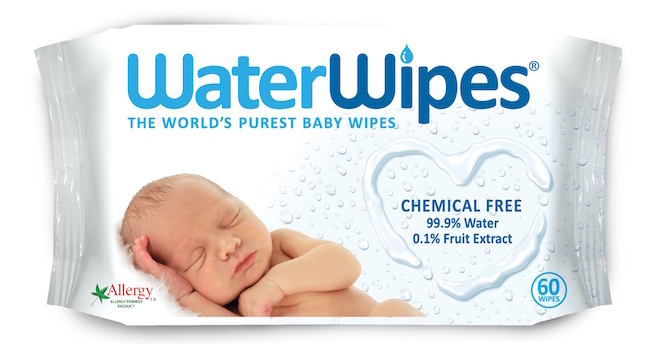 WaterWipes are the world’s purest baby wipe and are now available in Australia. 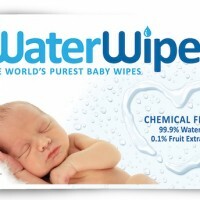 WaterWipes contain only 99.9% purified water and 0.1% fruit extract. Nothing else. They are free of any chemicals, preservatives or parabens and the only baby wipe in the world approved by Allergy UK. Most other baby wipes claim to be sensitive, pure and natural but turn them over and read the ingredient lists and you’ll see that they still contain a catalogue of chemical ingredients. WaterWipes helps avoid nappy rash and irritating other skin conditions such as eczema. They are extra soft, strong and absorbent and recommended by midwives worldwide as a safe alternative to using cotton wool and sterile water. Patented technology has allowed WaterWipes to develop the world’s purest and mildest baby wipes which are much less irritating on a baby’s skin than other commercial baby wipes. Recent media reports state the number of allergic reactions in the last 2 years has risen from 4% to 11%. Part of this increase has been directly linked to the chemicals found in baby wipes that are responsible for causing nappy rash. WaterWipes contain ZERO chemicals. WaterWipes are available from selected Coles, Woolworths and Chemist Warehouse stores and online.